FOR MORE AWESOME SMARTPHONES TO BUY, CLICK HERE. 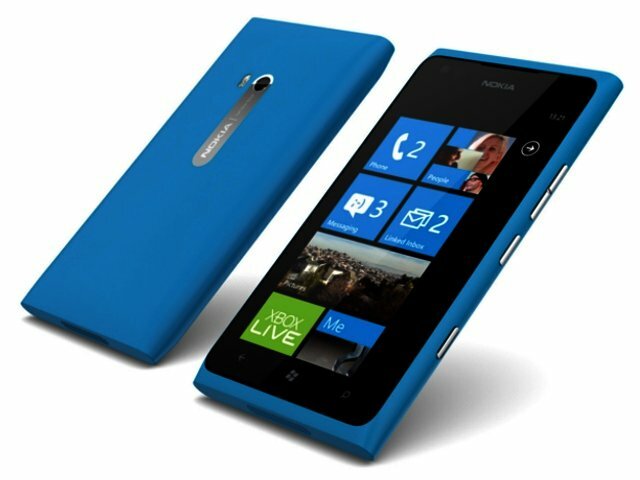 Hot on the heels of the Lumia 800 and midrange Lumia 710, comes Nokia’s top of the range Lumia 900, which possesses everything users crave in a smartphone, namely an eye-catching design, intuitive OS and excellent hardware. Like the gorgeous Lumia 800, the 900 sports a stunning N9-inspired look, incorporating a protective polycarbonate shell (127.8 x 68.5 x 11.5 mm), making it feel quite comfortable to hold, but noticeably bulkier than for example the Samsung Galaxy S3 (160 g vs 133 g). 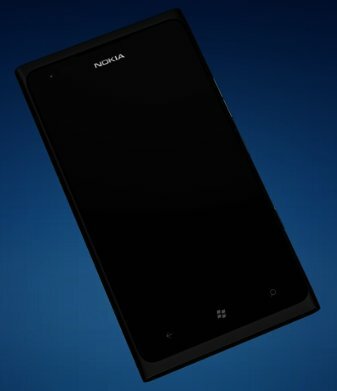 Nokia crosses the magical 4" mark with a 4.3" WVGA (480 x 800) AMOLED capacitive ClearBlack touchscreen. This display features excellent colour saturation, while managing to keep glare at bay when using the device outdoors in direct sunlight. The bigger screen translates to less scrolling when browsing and an enhanced movie viewing experience. Unfortunately the WVGA (217 pixels per inch) resolution does not quite match competitors like the HTC One X (4.7"; 312 ppi) or Sony Xperia S (4.3", 342 ppi). Things remain smooth within the Windows Phone 7.5 (Mango) operating system, thanks to a 1.4 GHz Qualcomm Snapdragon processor that trails behind the 1.4 GHz 4212 Quad Exynos brain of the Galaxy S3 and Nvidia Tegra 3 1.5 GHz quad-core beast utilised within HTC’s One X. In practice though the single-core Snapdragon delivered a lag-free performance whilst opening, running as well as closing apps. Besides this speedy CPU, the Lumia 900 offers users an 8 MP autofocus camera with Carl Zeiss optics that captures quality stills and lag-free HD-ready (720p, as opposed to 1080p) videos. There is also a 1 MP front-facing snapper, making it a lot easier to capture self-portrait shots and also enabling users to make video calls via the included Tango video calls app or Microsoft’s Skype. Our review unit came with Nokia’s Creative Studio app pre-installed (also a free download from Windows Phone Marketplace), which enables you to crop your images and do some photo editing. In addition, users are also able to add fun effects to their pics such as Alien head or big chin for instance. Also onboard are some excellent apps, including Mix Radio and Nokia Drive, which provides turn-by-turn, voice-guided navigation. Nokia Drive works incredibly well, so well in fact that it virtually eliminates the need for a standalone GPS unit. Both Nokia Maps and Nokia Drive are big drawcards for Nokia’s smartphones and remain one of the best reasons to buy from the Finnish giant (although Nokia Maps will appear in future on all Windows Phone 8 devices). Ditto for Mix Radio, a free (although data costs apply) mobile music-streaming application that works over Wi-Fi and 3G. It enables music lovers to stream music tracks from Nokia’s global catalogue of millions of tracks that includes a large contingent of local artists. Nokia’s Mix Radio is connected to Nokia’s MP3 store, allowing users are able to purchase tracks for R8 a track using their credit card. Be careful how much you buy though, since unfortunately, users only have access to 16 GB internal storage and cannot expand on this due to the lack of a microSD memory card slot. However, you do get 7 GB additional cloud-based storage for free via Microsoft SkyDrive. Additionally, the Lumia 900 can support faster HSPA+ networks that deliver download rates of up to 42 Mbps. While recently previewing Windows Phone 8 (WP8), Microsoft revealed that Windows Phone 7x devices will not be updated to WP8. Instead, devices like the Lumia 900 are being upgraded to Windows Phone 7.8 later this year, which luckily features the same user interface as WP8. Eyecatching design meets an intuitive OS. Nokia’s Lumia 900 is savvy enough to take on the big boys, thanks to its premium design, quick performance, 4"+ ClearBlack touchscreen, capable camera and intuitive operating system. However its single-core CPU, non-HD-display, lack of expandable storage and incompatibility with WP8 might mean that it won’t reach the summit of most buyers’ upgrade list. We hope this is not the case, since the 900 is certainly the best Windows Phone we’ve tested. It goes for a somewhat pricey recommended retail price of R8000, considering that the Samsung Galaxy S3 is available for R7740 (32 GB version), whilst the HTC One X comes in at R6700. Nokia fanboys and those who like Windows Phone OS devices in general, can still opt for the Lumia 800 which is available for R1000 less. Easy to use mobile OS; classy design; excellent camera; great apps included such as Nokia Drive and Mix Radio; and large touchscreen. Can’t update the OS software to Windows Phone 8; single-core CPU no match for dual- and quad-core rivals, WVGA screen resolution does not compare favourably with rivals; cannot expand on the internal storage; and no full HD video recording. Easy to use mobile OS classy design excellent camera great apps included such as Nokia Drive and Mix Radio and large touchscreen. Can't update the OS software to Windows Phone 8 single-core CPU no match for dual- and quad-core rivals, WVGA screen resolution does not compare favourably with rivals cannot expand on the internal storage and no full HD video recording.